As you may know, Nathaniel and his team worked to repair the Meerkat Theatre, the stage and seating in our woods, and to mark the trail leading to the stage. He proposed this project to us last winter and spent a great deal of time working behind the scenes to prepare for the workdays that ensued. Nathaniel moved from a “follower to a leader,” which is a stated goal of obtaining the rank of Eagle. He learned how to manage a team, collaborate with his mentors and leaders and make this project happen. Now, we all know that many other things contributed to this. Each step of the way his family encouraged, supported and worked side-by-side with him to make this project happen. What we also know is that Nathaniel learned how to plan, direct his own learning, persevere, work with teams, collaborate with peers and adults alike, and lead as a student at WMS. 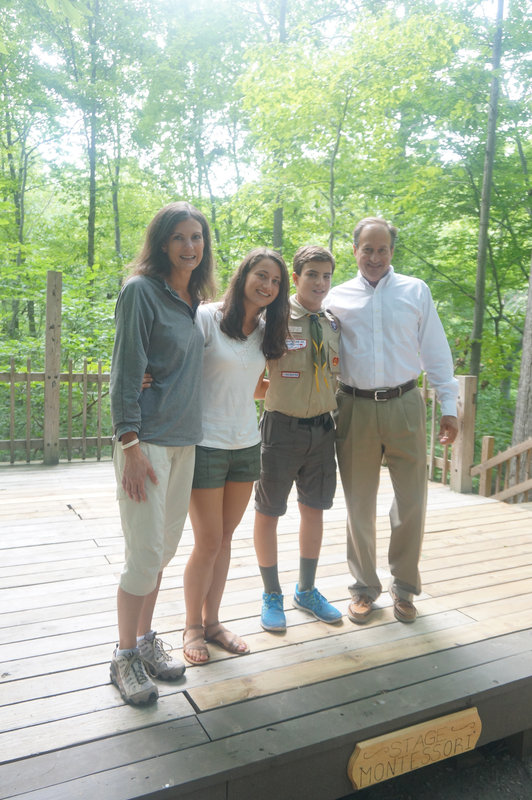 He took those skills, challenged himself to meet the criteria for Eagle Scout and did it! Our students have the opportunity to learn these skills in a safe and nurturing environment. They plan their time and their work, persevere when things are difficult, practice teamwork and collaborate with students and teachers throughout their time here. They establish their goals and work hard to meet them. Nathaniel’s work is one example of how these 21st-century skills evolve and contribute to success. Current students and alumni experience many others. They are prepared to enter the educational and employment opportunities that await them.